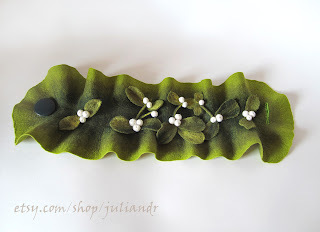 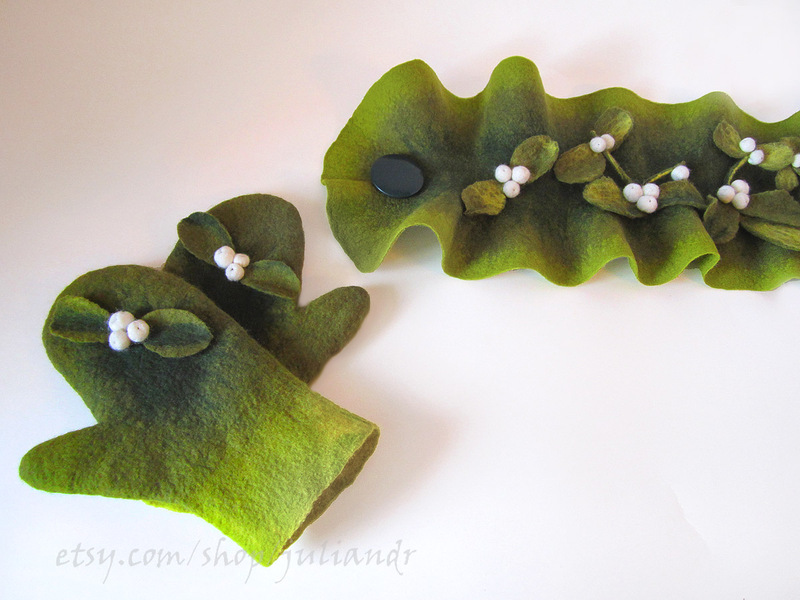 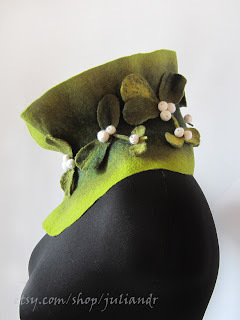 This is the unique and totally handmade - handfelted and handstitched - set of proper winter gear, warm mittens and neckwarmer in hues of green, with bunches of mistletoe berries and leaves. It's made (wet felted) of super fine Italian merino wool. 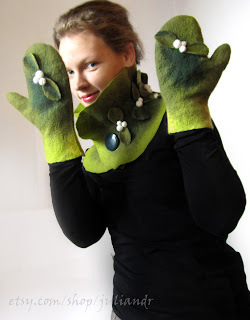 Mittens have been shaped on my own palm while still wet, so they sit comfortably. 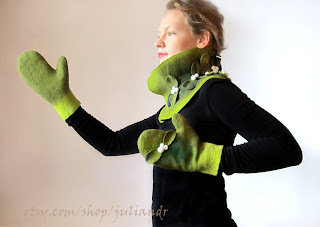 Neckwarmer has the big old reused button, it's very comfy and cozy. 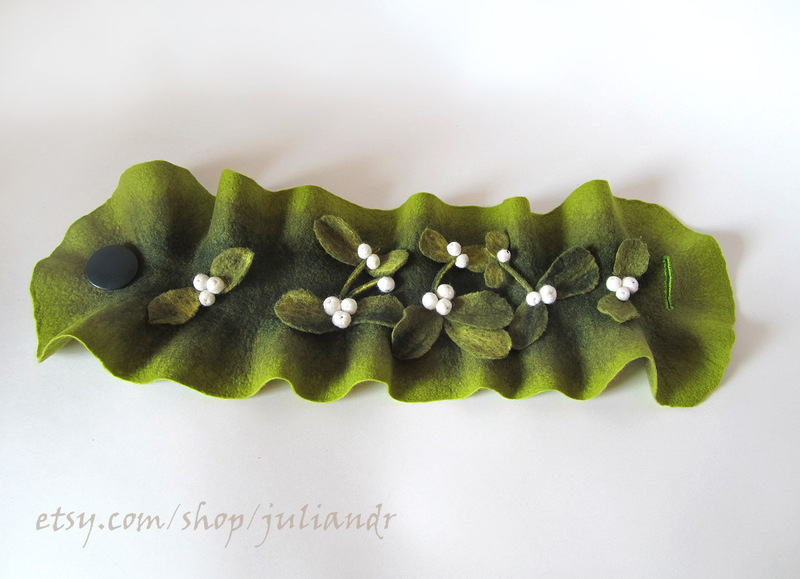 And IS very festive, too! Mittens are 9,8" long and rather S to M size, will fit palm girth up to 9,5".